This study was done to compare the tensile bond strength of three different generation bonding agents to dentin using one composite resin and scanning electron microscopic study (SEM) of hybrid laver. 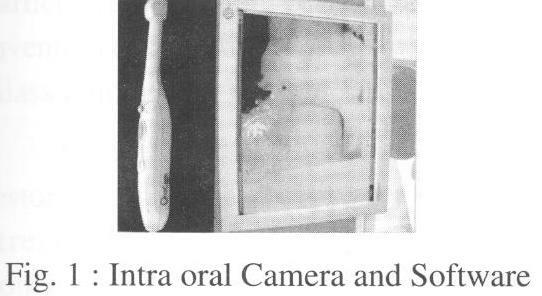 In this study 36 non carious human molar teeth were selected. 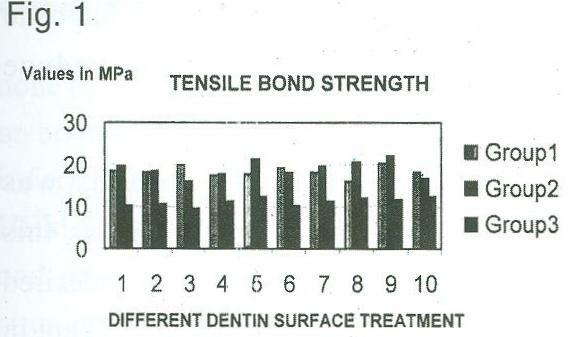 30 teeth were used for evaluating tensile bond strength and were divided in to three groups. Six teeth were used for hybrid layer evaluation also divided into three groups. Group 1 specimens 10 teeth were etched with 37% phosphoric acid and Scotch bond multipurpose adhesive was applied. 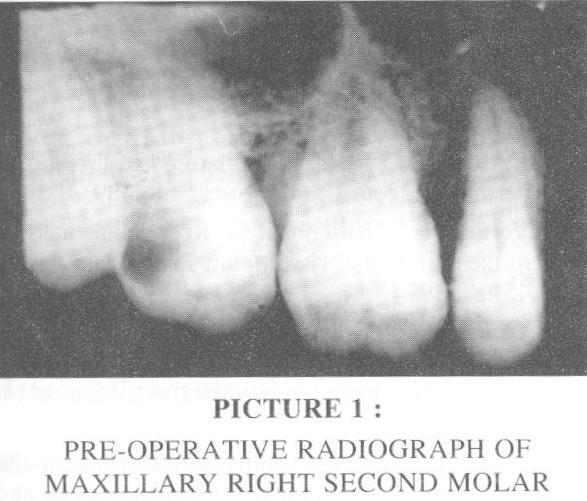 Group 2 specimens 10 teeth were etched with 37% phosphoric acid and 3M Single bond was applied. Group 3 specimens 10 teeth were treated with Prompt-L-Pop. Composite material (3M-Hybrid­Z100) was applied incrementally and cured for 40 seconds each. Specimens were then stored in distilled water before testing. Two teeth from each group were cross-sectioned to obtain 1mm thick dentin disks for SEM evaluation. Adhesives were applied as mentioned above. Composite was applied over these discs and light cured for 40 seconds. 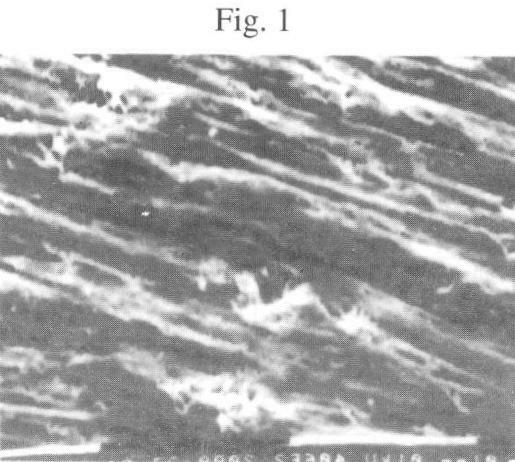 Samples were stored in distilled water at 37 0 c for two weeks; these disks were fractured with chisel for cross-sectional viewing Dentin conditioning with single bond (5 th Generation) revealed better bond strengths as compared to scotch bond multipurpose (4 th generation) and Prompt­L-Pop (6 th generation). SEM evaluation of hybrid liner reveals that Single bond has shown a thicker hybrid layer comparing to other adhesives. The post endodontic fracture of a tooth is a common occurrence, when the full coverage restoration is delayed or not at all given. It could be a perplexing situation to the magnitude, where extraction is second to none. This case report is about the reattachment of the fractured, endodontically treated premolar tooth followed by composite crowning. This led to the conservation and reinforcement of the brittle tooth, overcame the need of post and core and aided in delivering a crown of good esthetics and mechanical properties in one appointment at a lesser cost and time. The aim of the study was to test the efficacy of 3% & 5% sodium Hypochlorite gel as compared to 3% and 5% sodium hypochlorite solution_ for deproteinization and also to assess the nanoleakage following deproteinization of dentin by an indigenous sodium hypochlorite gel, of varying concentrations with different tunings, using a conjocal laser scanning microscope. Seventy non-carious maxillary premolars were taken and Class V cavities were prepared on the cervical aspect with the cervical margin in dentin. The cavities were etched, rinsed with water and blot dried. Sodium hypochlorite was used at a concentration of 3 % and 5% both in the solution form and gel form for the study. Prime & bond NT was applied as per manufacturer's instructions and the cavities were restored with TPH spectrum composite resin. Teeth were immersed in 50% alcoholic solution of 1 % wt Rhodamine B fluorescent dye for 24hrs. After rinsing they were sectioned longitudinally and dentin / adhesive interface were examined under confocal laser scanning microscope. Dye leakage was measured in micrometers. Results suggest, Sodium hypochlorite gel is as effective as the solution form for deproteinization procedures and provides better handling and control. Efficacy of .sodium hypochlorite in reducing nanoleakage increases with increase in concentration and time. The aim of this study was to evaluate the resin­dentin interface of three adhesive systems: (i) 'etch and rinse-single bottle' adhesive (Single bond- 3M), (ii)'self etch' adhesive - (AdheSE - Ivoclar) and (iii) 'glass ionomer' adhesive (Fujibond LC - GC) used for bonding fiber posts (Luscent anchors, dentatus) into the root canal using scanning electron microscope. The thickness of the hybrid layer and the presence of resin tags with lateral branches were detected, and subjected to statistical analysis. This is an in vitro reflection spectrophotometric studs, which evaluated the color stability of Ionomer and resin composite materials in, various environmental solutions. Three Ionomer based esthetic restorative materials were used:-Glass Ionomer(GIs), resin modified glass Ionomer(RMGIs), and compomers. 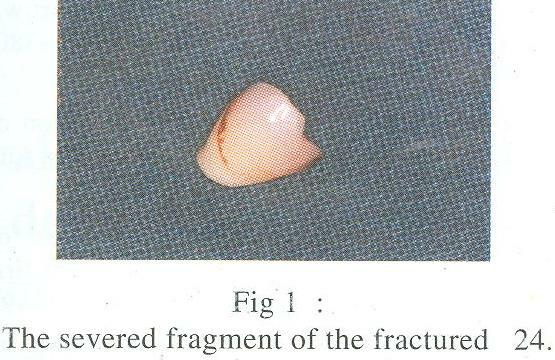 A light cured resin bonded composite (RBC) was used as control. Disk type specimens were prepared and aged in four different solutions (deionized water, 75% ethanol. 0.1 mole acetic acid solution & 10% hydrogen peroxide) . for 1,7,14,21,28 and 56 days. The color changes were measured by a reflection spectrophotomer. In deionized water, all specimens showed an acceptable color stability. In ethanol, resin modified glass ionomers(RMGIs) showed the maximum color change, whereas the compomer showed a slightly significant color change. In acetic acid all the test materials showed color changes, ie maximum by glass ionomers (GIs), followed by compomers (Polyacid modified composites- PMCs) & resin modified glass ionomers (RMGls). I0% hydrogen peroxide solution resulted in degradation and high degree of color change for chemical­cured GIs. The light cured resin-modified Glass Ionomers (RMGIs) and compomers (PMC'S) showed high color change in 10% hydrogen peroxide solution. The light-cured composite (RBC-control), showed insignificant color change in all the experimental solutions. Composite resins are the most commonly used direct esthetic restorative material. Despite improvement in material properties and restorative techniques a cavity with its margins in dentin/cementum presents many difficulties. Clinical problems like post operative sensitivity and marginal discoloration occur due to microleakage. This in vitro study compares the effect of different techniques of filling, curing, finishing and polishing on reducing microleakage in posterior resin composite restorations. Proper finishing and polishing of tooth coloured restoration enhances the esthetics and longevity of restored teeth. Plaque retention, surface discoloration and esthetics of the restoration have been related to the smoothness of the restoration surfaces. This study was done to evaluate the amount of surface smoothness produced after the use of various finishing and polishing devices on restoration. The first article of this series of taro articles discusses the effect of various finishing devices on light cure composite (sure fit) while second article is on compomer and comparison of both the groups. Recognition of unusual root canal anatomy plays a decisive role in the ultimate outcome of a particular en­dodontic case. This paper presents case reports of non-surgical management of permanent molars presenting with rare root canal configurations.